Vilnius is the capital city of Lithuania with a population of about 620.000, where 20% of citizens are over 60 years old. 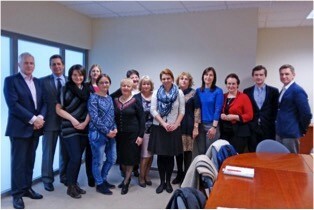 In 2015 the vision of Vilnius as an age-friendly city was presented to the Mayor. In 2016 public commission “Vilnius – an age-friendly city” was established where 13 public member organizations joined the efforts together in order to help the municipality adopt WHO age-friendly world cities framework and practices. In 2016 the municipality administration took the leadership to finance and conduct the survey among 65+ Vilnius citizens. It was the first survey ever focused on elders’ needs and preferences showing the commitment to recognize the capacities and resources among older people. The survey results were presented in January 2018, which clearly outlined the areas of improvement required within 8 interconnected domains of urban life: transportation, outdoor spaces & buildings, housing, social; civic participation, employment, communication and information, community; healthcare, respect; social inclusion. Based on the survey outcomes the long-term age-friendly city plan is going to be finalized by mid 2019. Priorities stay to ensure the universal city design principles, further develop services in social, health, transportation sectors, secure elders inclusion and participation in overall urban life. To do this the municipality is going to establish the dedicated working group being responsible for holistic view, strategic long term- planning and most important having the political power to secure the required investments or finance allocation. Vilnius aims to become a role model for the rest of cities in Lithuania being able to replicate the best practices implemented.